Rolls-Royce Motor Cars has delivered its first car to Thailand. 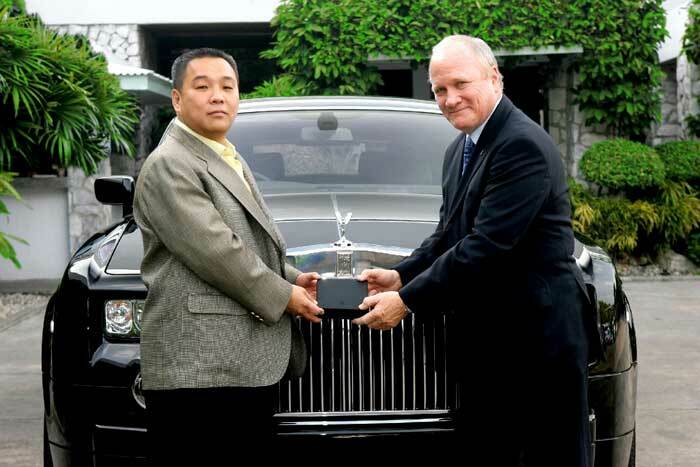 Dr Nikorn Hongsrisook, a prominent Thai businessman based in Bangkok, received his Phantom Extended Wheelbase car from Rolls-Royce Asia-Pacific Regional Director, Colin Kelly. 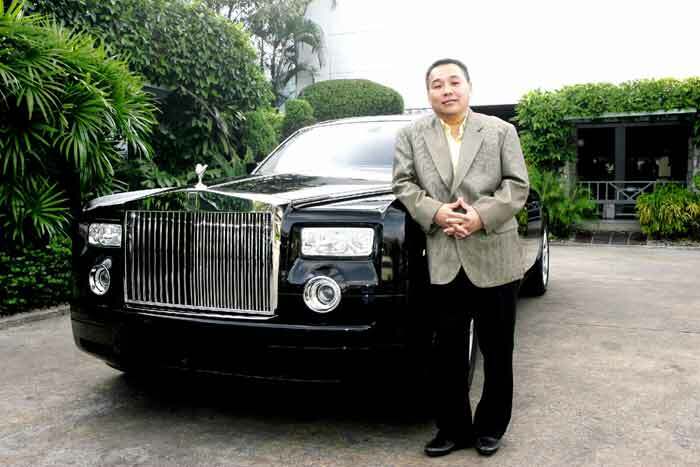 Dr Nikorn Hongsrisook, President of Gems Gallery International Manufacturer Ltd, added, “As a person who is truly fascinated with super-luxury cars, Phantom is a very special car which I have always aspired to own. I feel very proud to have become the owner of the first Phantom in Thailand”. Dr Nikorn specified his bespoke car to feature a Diamond Black exterior and an interior finished with piano black wood and contrast stitching. Amongst other Bespoke features, the car comes with the award-winning starlight headlining, an optional feature that incorporates 800 fine fiber optics in the ceiling, creating the impression of a star-filled night sky. Dr Nikorn’s car was built at the state-of-the-art Rolls-Royce Motor Cars manufacturing facility in Goodwood, West Sussex, England.